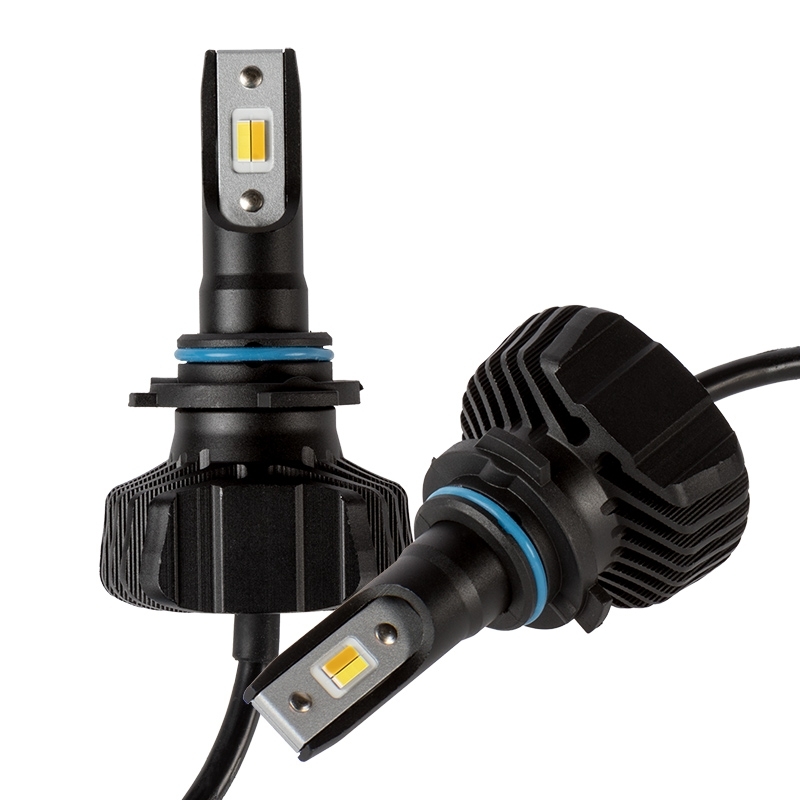 Increase your safety and visibility in any weather with these 9006 dual-color LED headlight/fog light bulbs. 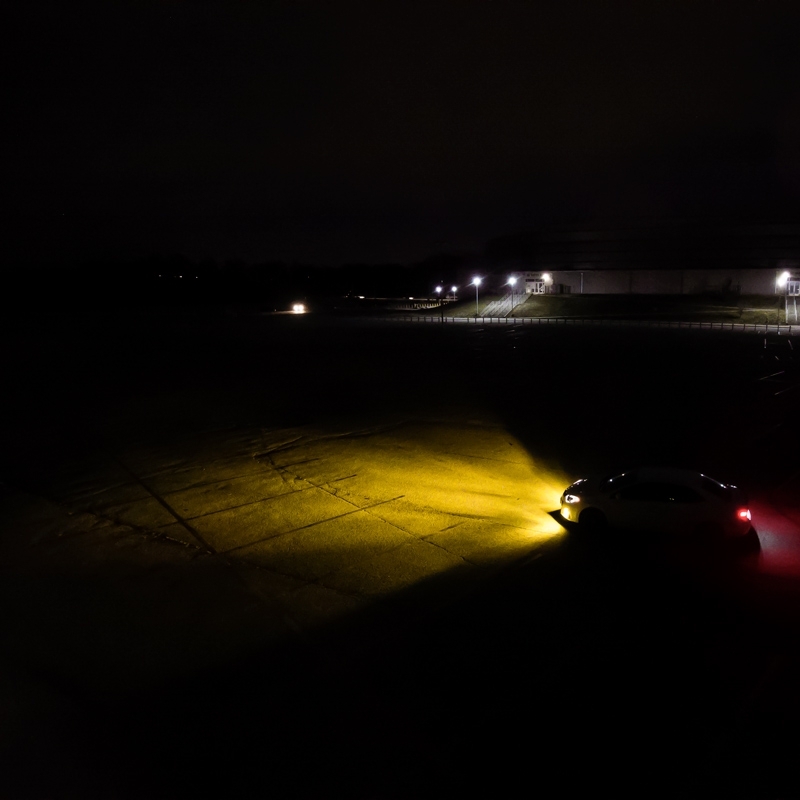 The single-beam LED headlight bulbs emit 4,500 lumens of cool white or yellow light per set (2,250 lumens each). 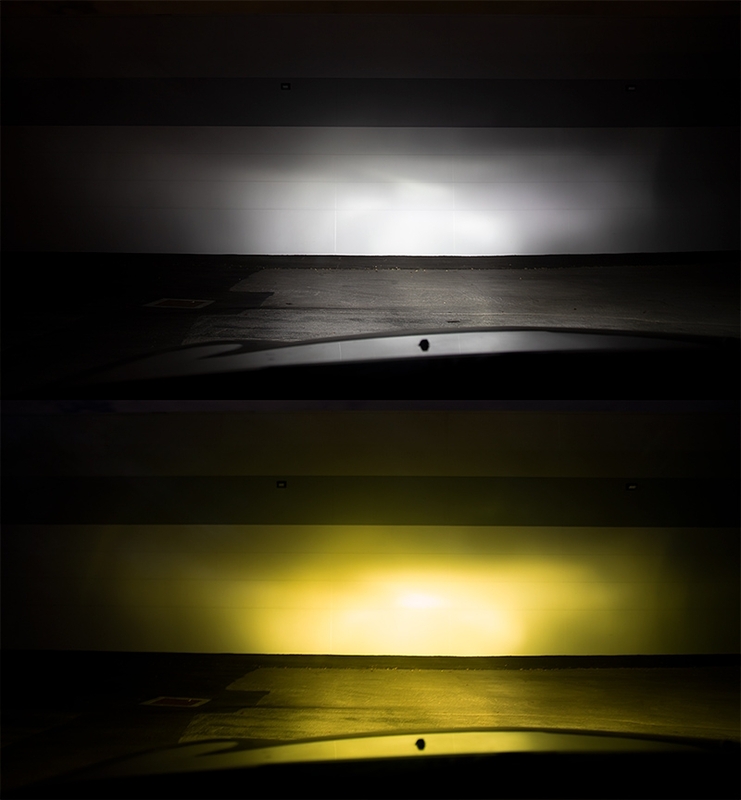 Yellow light cuts through fog and improves visibility in the rain. 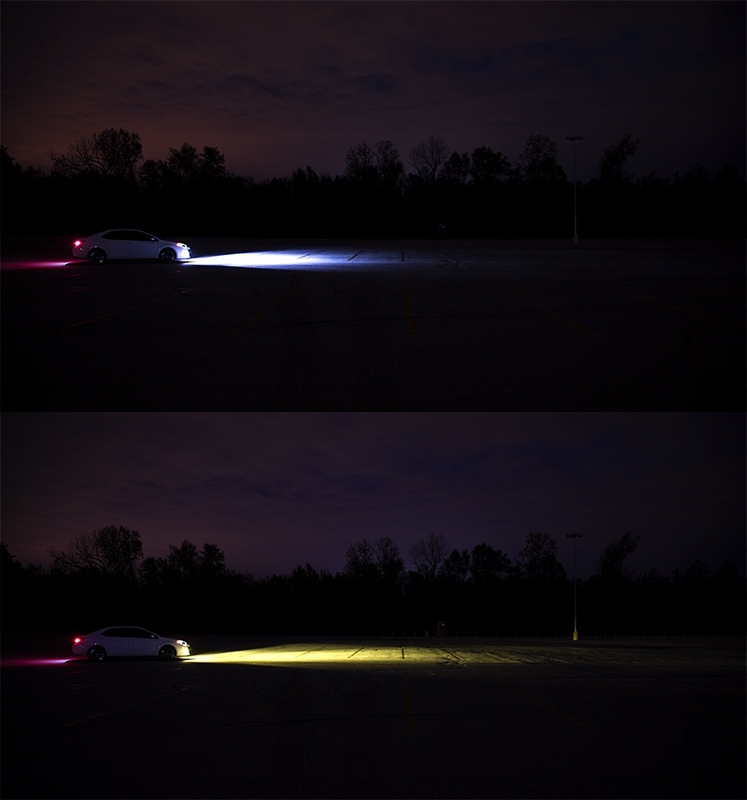 Easily switch between colors by powering the lights on/off. 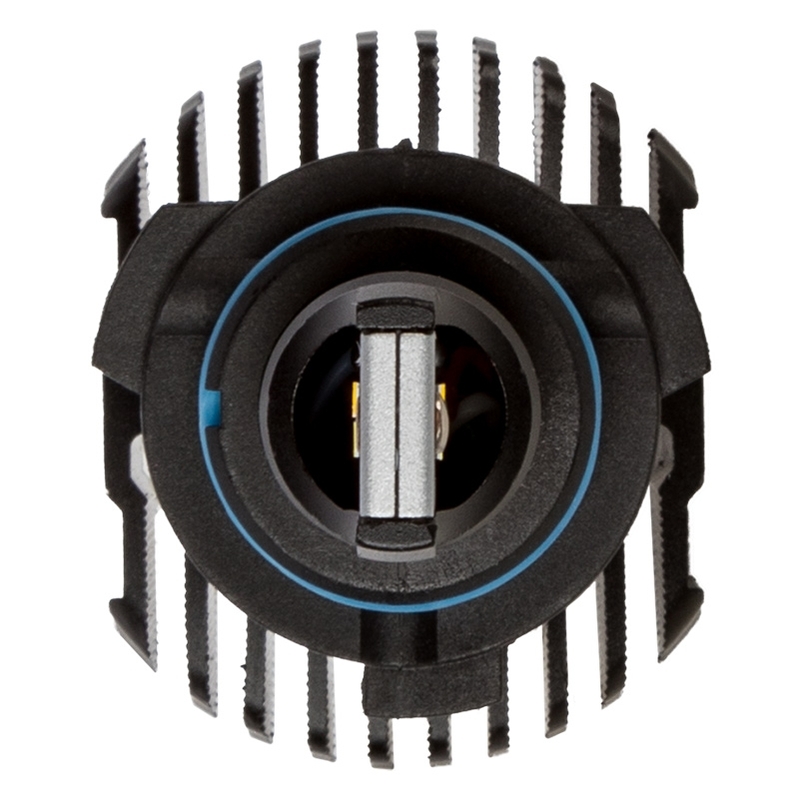 These bulbs have integrated heat sinks instead of short-lived fans or bulky braided heat sinks. 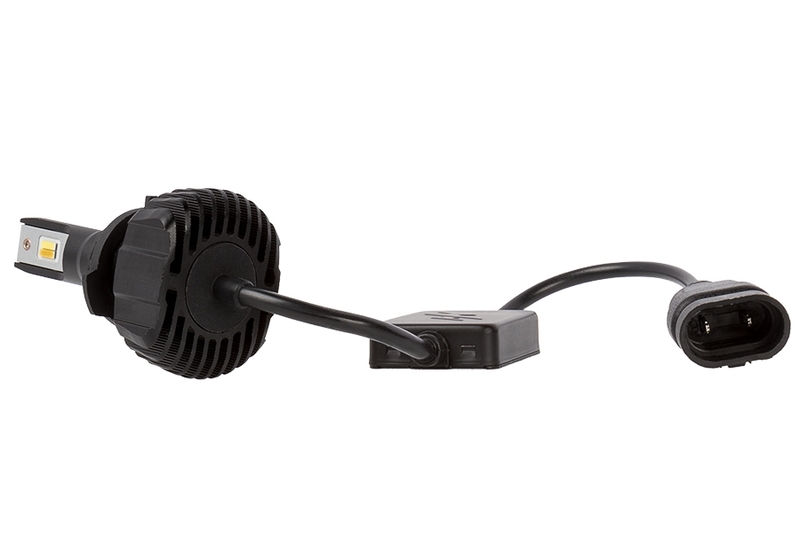 This allows for increased longevity and easier installation in tight spaces. 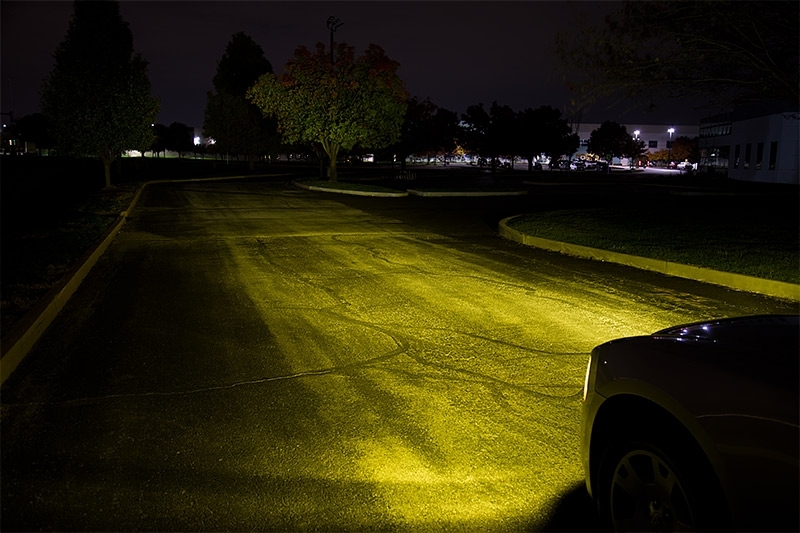 The LED bulbs last 13 times longer than halogen bulbs and 3 times longer than HID bulbs. LED arrays in each bulb are designed to mimic the filament in halogen bulbs—creating a closely matched beam style. 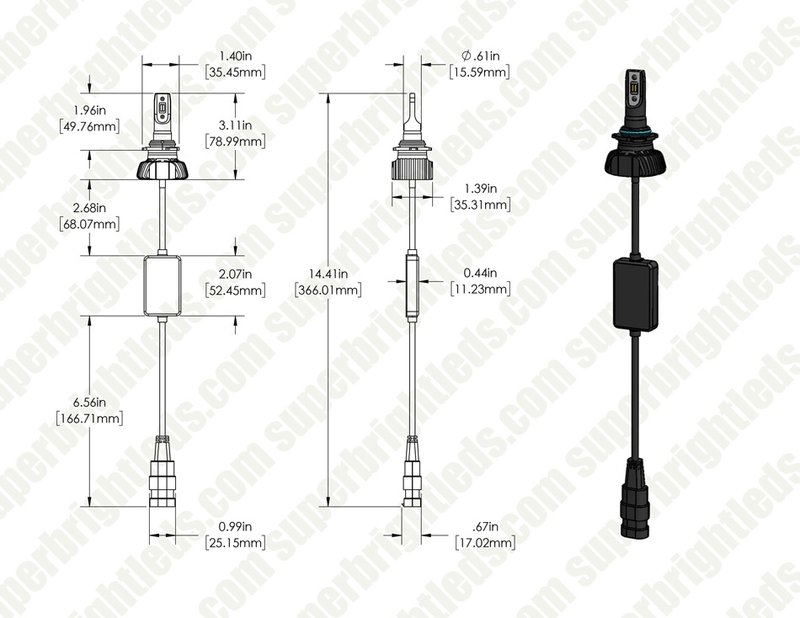 These CAN Bus compatible bulbs operate on 9-32 VDC. 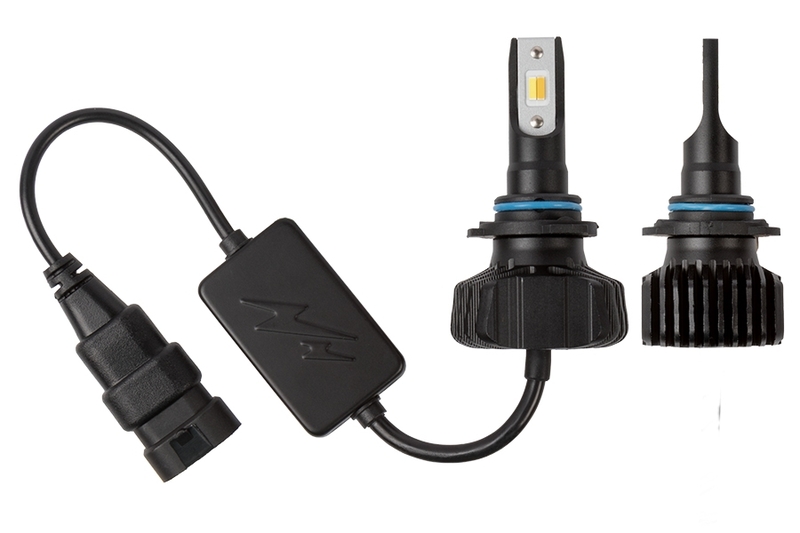 This long-lasting kit includes 2 9006 LED headlight bulbs. Price per kit. It's nice to have an amber light output when the weather turns ugly. I normally run the 6K LEDs but when it's raining or foggy, I switch to the 3K LEDs. Hopefully I don't have to deal with a mismatch color since the only way I can think of rectifying it is unplugging one of them bulbs and cycling the power. Product came nicely packed, had instructions. Unplugged the old low beam bulbs and put the new ones in. All snapped in place with no problem. 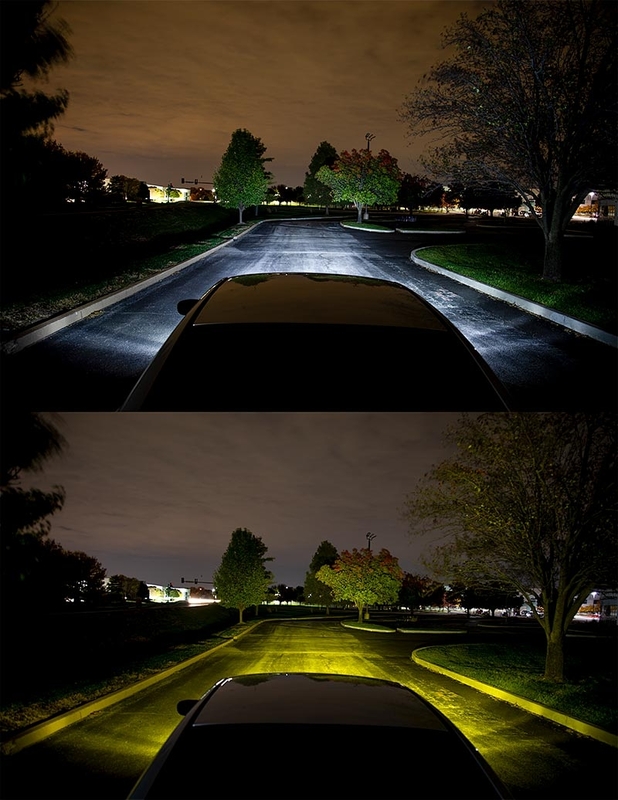 These are dual color - so when you first turn on the low beams - the Yellow led comes on, rotate the light switch back to off and then to on - white LED is on. These are rated at 4K lumens. 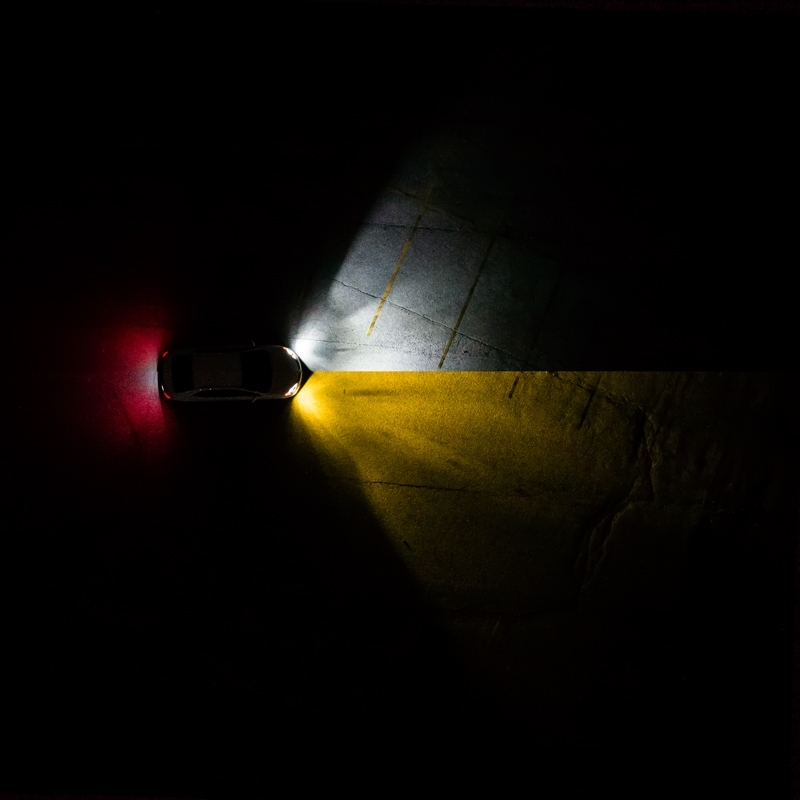 Standard bulbs are 1K lumens - so should be brighter. Only reason for not 5 stars - it is daytime and have not used the car since the bulbs were install. A month from now, if all is still good - it is 5 stars. Price is hard to beat - the same price for regular bulbs with higher light output - Advanced Auto, Auto Zone, and O'Reillys. Not real crazy about the dual color, for example if your car has keyless entry the colors change all the time when you unlock the car and both sides don't always change so you are stuck with one yellow and one blue- not very brilliant.